Easy and pretty bracelets to make! I know it’s been a while since I’ve written a blog, but things have been hectic. But I took a trip over to my favorite hobby and fabric store and made some purchases. I don’t wear a lot of jewelry but I find it fun to make. And I love spending time in the beading and jewelry aisle. This was a pretty quick with the use of a magnetic closure. 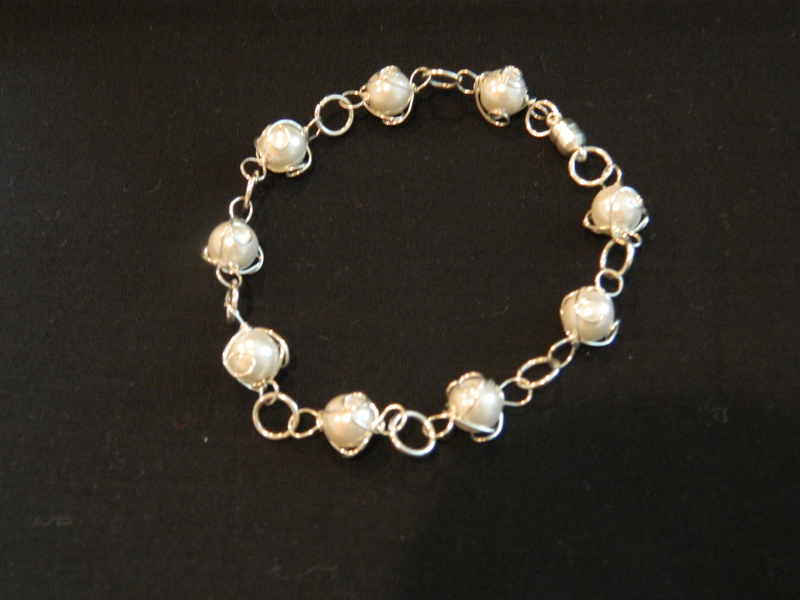 The beads were encased with silver wires and with the loops at either end made it a snap to string together. I purchased an auction from eBay (another favorite place for crafting supplies)… these are actually watch gears. I underestimated just how small they were, but it actually turned out for fine chain I used. I probably should have used a smaller jump ring size, but I like the way it turned out. These bracelets are actually made from sewing trims. 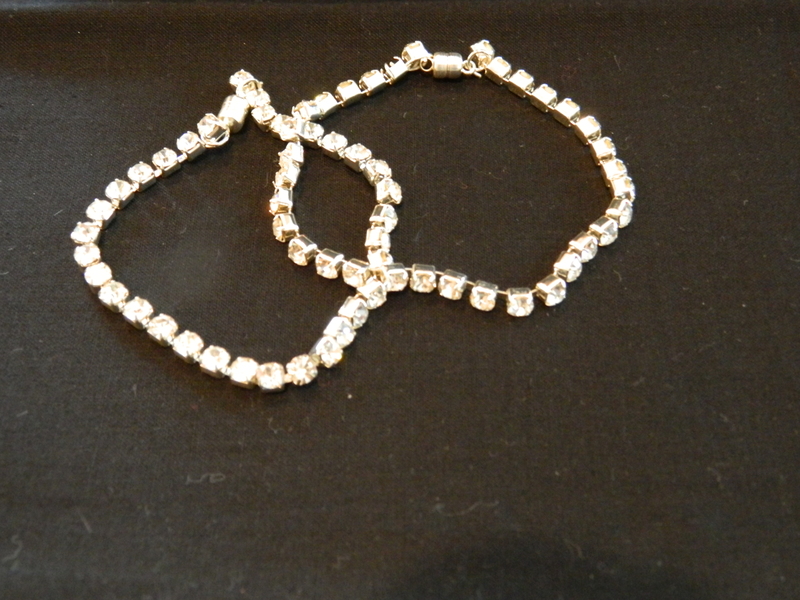 It is really easy to work with and is much less expensive than buying across the aisle in jewelry supplies. A simple magnetic closure and these were done! Easy and quick. 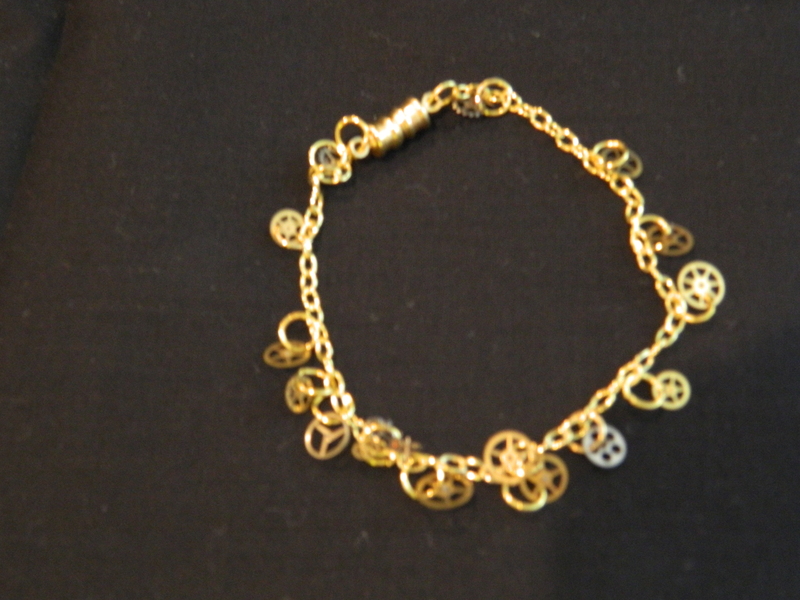 This bracelet was also made from a sewing trim. I am sure that this would be beautiful on a New Year’s Eve gown and I might give that a shot at some time. 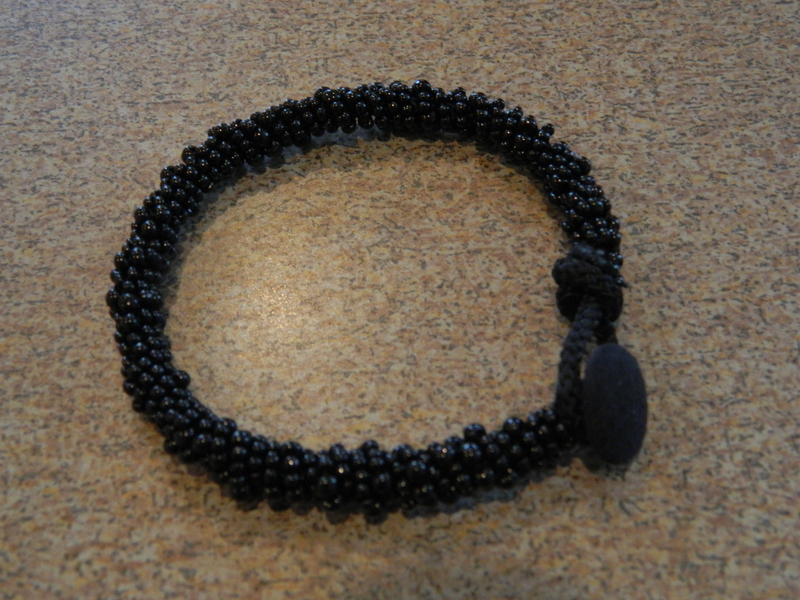 Meanwhile, the way that this trim was created – by wrapping two sizes of beads around a core of black cording – made it very simple to create this bracelet. Simply unraveling about two inches to expose the cord and looping it and knotting. A few stitches to keep it in place and a simple black button and it was done. I’ve been busy planning more projects… I know, I know, I was supposed to finish my list before I started any more, but I completed quite a few and I keep finding more and more wonderful things to create while browsing Pinterest. So come back often!